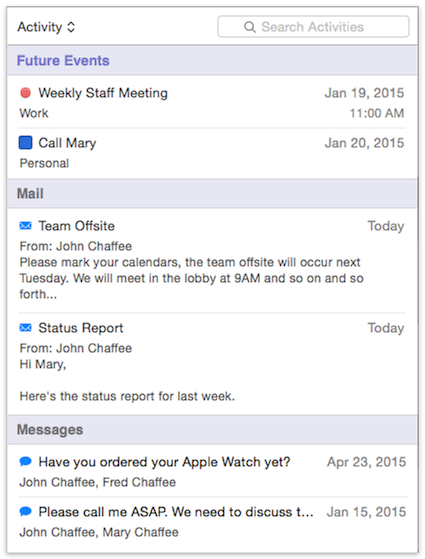 Modern UI — BusyCal 3 has been completely redesigned with a modern UI that is visually stunning and a pleasure to use. 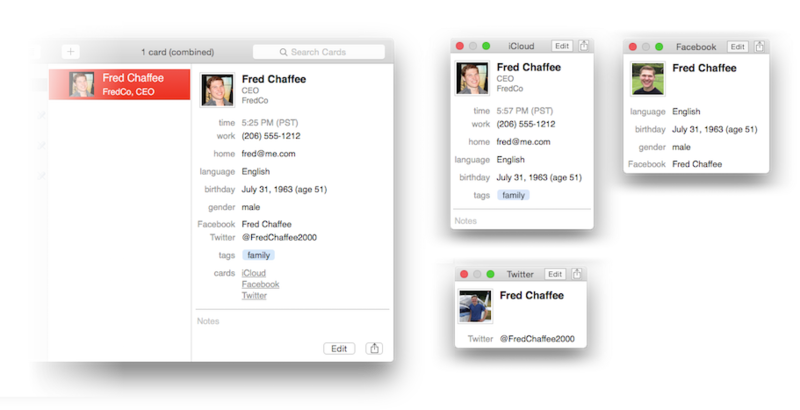 Smooth Infinite Scrolling — Glide effortlessly from day to day and week to week with a swipe of your trackpad. 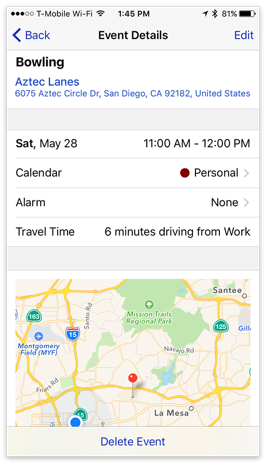 Travel Time — Schedule travel time with integrated support for Apple Maps and Location Services, and receive alerts when it's time to leave as traffic conditions change. 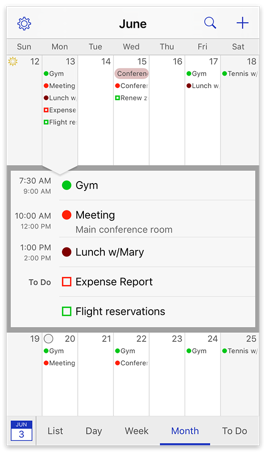 Menu Bar App — The beautifully redesigned menu bar app now includes a mini-month calendar that provides a visual density map of your availability. 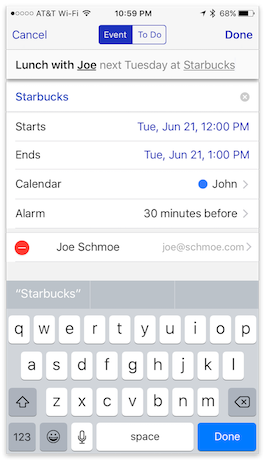 Timed To Dos — We've added support for Timed To Dos that occur at a specific time of day and appear inline with calendar events. 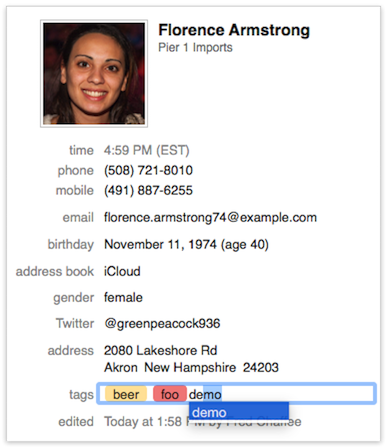 Info Panel — The Info Panel has a cleaner, streamlined appearance with improved controls for selecting dates and times, adding locations, maps, attendees and more. 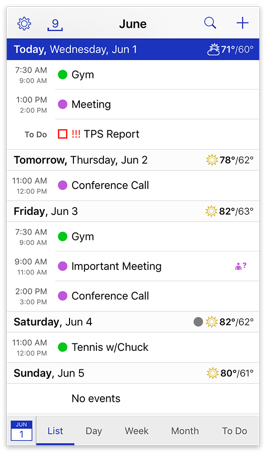 BusyCal for iOS — And for the first time ever, BusyCal is now available for iOS with the same features as BusyCal for Mac, including customizable views, integrated to dos, travel time, live weather feeds, and more. 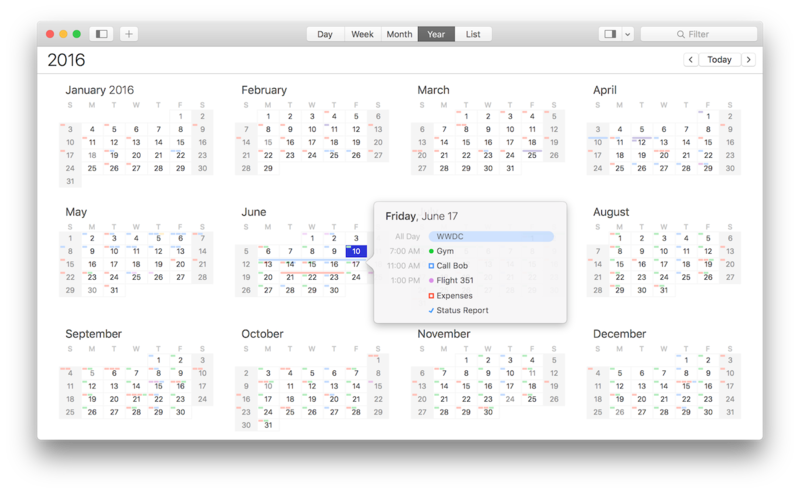 More — We've added and refined dozens of features throughout the app to make BusyCal 3 the best calendar app yet. 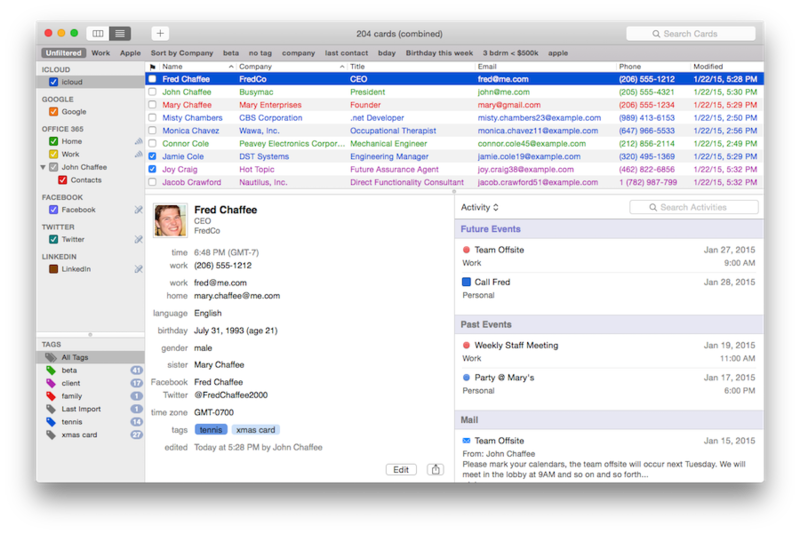 $29.99 for existing BusyCal and BusyContacts customers. Free for those who purchased BusyCal on or after March 1, 2016. See Upgrading to BusyCal 3 for more info on how to qualify for upgrade pricing. 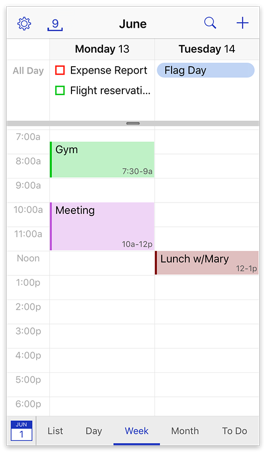 BusyCal 3 for iOS is available now on the App Store for an introductory price of $4.99. 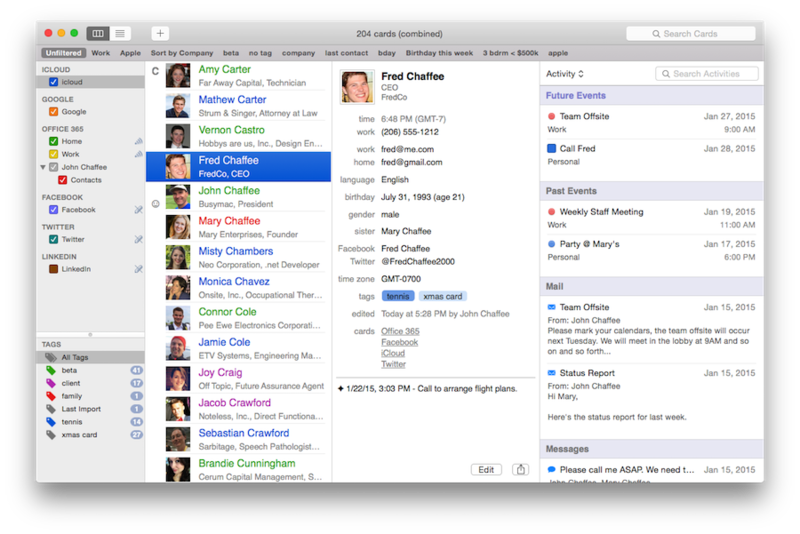 BusyCal 3 for Mac requires OS X El Capitan 10.11 or later. BusyCal 3 for iOS requires iOS 9.3 or later. 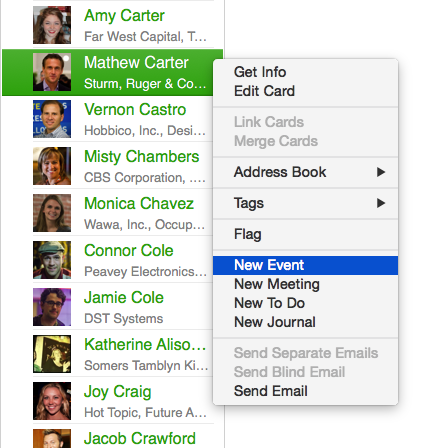 Busy Apps was founded in 2007 by Dave Riggle and John Chaffee. 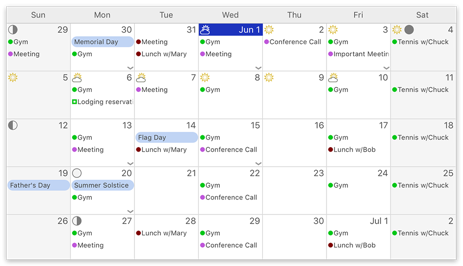 Dave and John have a long history of building great software together dating back to the early 90's when they created Now Up-to-Date, a revolutionary network calendar for Mac OS 7. 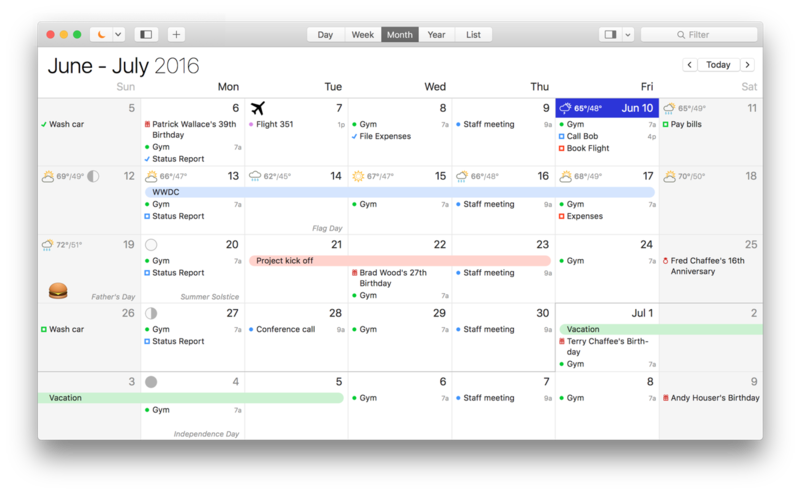 A lot has changed since then but Busy Apps has continued to focus on building the most powerful calendar and contact manager for macOS and iOS to this day.